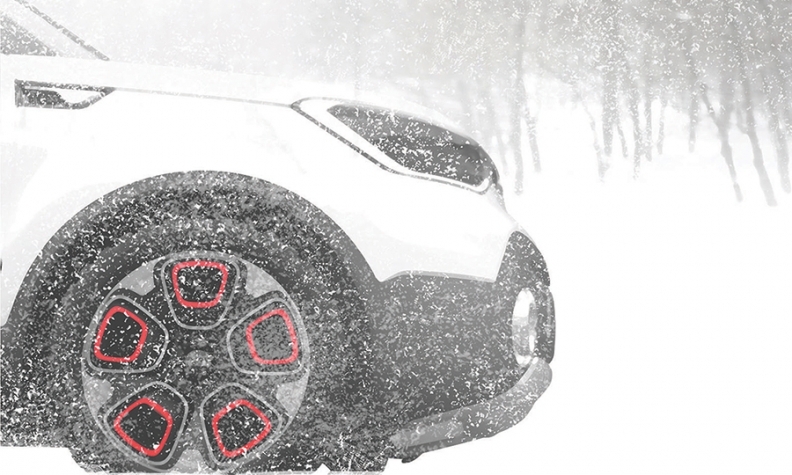 Kia Motors Corp. will unveil a rugged concept car with electric all-wheel drive next week at the Chicago Auto Show. The automaker released a teaser image that shows only the front third of the concept. But it appears to be based on the boxy Kia Soul, which was America's No. 1 selling subcompact car in 2014, with 145,316 sold. Kia said the vehicle was conceived at its design studio in California. "Intended to enable a wide array of outdoor activities from skiing and snowboarding to camping, hiking and mountain biking, this rugged runabout captures the essence of adventuring at higher elevations with the promise of surefootedness in the wild," Kia said in a statement on the concept. Press days for the Chicago show start Feb. 12.